 Get Exclusive Horoscope Prediction For Aquarius! August will be full of obstacles for Aquarians this year. Either your plans will be delayed causing you to stop in your pursuit, or you will be pressured to go on when you no longer have any energy or desire to do anything. As a possible way out, you may accept the fact that you need time for reflection and revival. Use this opportunity to recharge yourself. Though you may be unable to get any results at the present moment, you can save your energy for the next month. On the bright side, you can solve your old relationship problems as your communication skills will improve in the second half of the month.